Hop on your hogs and gather a gang of fellow bikers for the annual Republic of Texas Biker Rally. 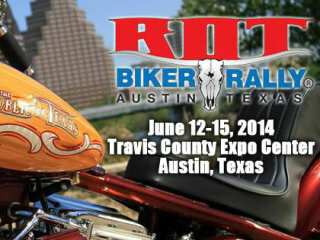 As with every year, the RoT Rally features a wide assortment of entertainment and attractions at the Travis County Expo Center along with a rally of bikers downtown. This year's lineup of music acts at the expo center include Dale Watson, Reverand Horton Heat, John Gaar and Sammy Hagar. 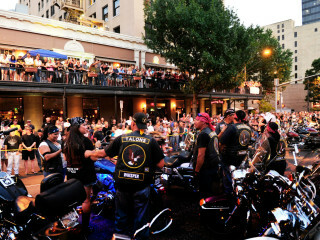 For this year's main rally, join thousands of your fellow bikers on the grounds of the Austin-American Statesman.